Sometimes you need to fasten something down with a nut, but don't want to worry about shorting anything. 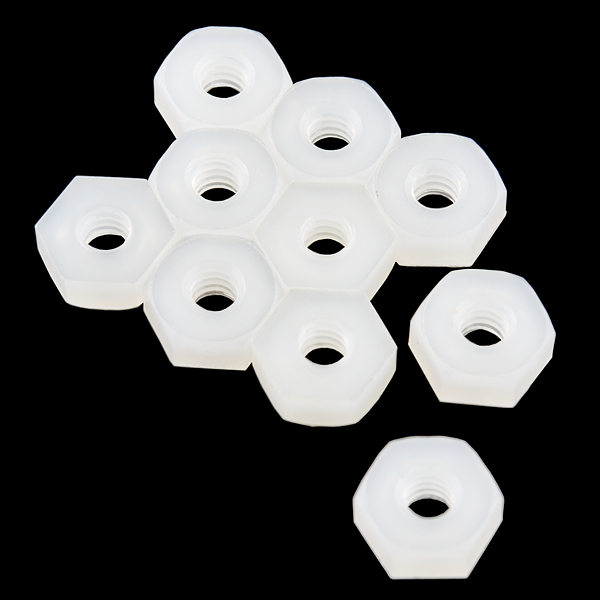 A nylon nut can save you the hassle of shorting out the ground plane on a PCB without enough spacing around the mounting hole. **Note: **Sold in packs of ten. This is a solution in search of a problem (the actual uses for nylon nuts are pretty limited). 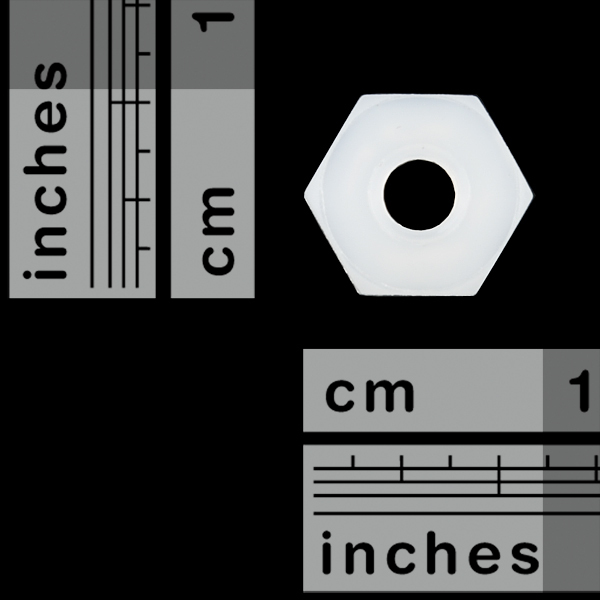 Better options to deal with a shorting PCB issue would be to use a nylon washer or a "small pattern" nut instead.